Your smile isn’t just an important part of the way you look-it can also have an effect on the way you feel. A bright healthy smile can make you feel confident, and at Blincoe and Shutt, we know all about the ‘Art and Science of Building Smiles!’ A whiter, brighter smile is easy to achieve with vital bleaching options available here in our office. 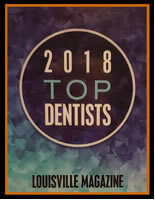 Because each of our patients has a unique smile that’s all their own, we offer a variety of bleaching methods. We’ll be happy to schedule your consultation to find out if we can help you achieve the smile you’ve always wanted. Just give us a call, at (502) 895-2210 or e-mail us at blinshut@bellsouth.net.and we will be able to further assist you! 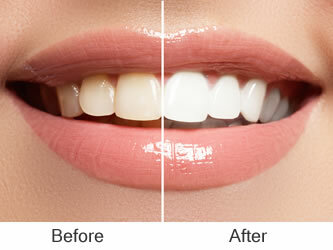 Bleaching/Whitening effects vary from patient to patient depending on multiple factors, primarily enamel thickness. The length of time the teeth whitening effect lasts also varies depending on personal habits such as drinking coffee, red wine, tea, colas and smoking. Patients enjoy the flexibility our "at home" bleaching system offers in that once your custom bleaching trays are made, you can bleach as often as you like.